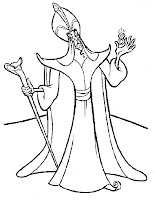 Jafar, Grand Vizier to the Sultan of the fictional kingdom of Agrabah, is attempting to access the Cave of Wonders for a magical oil lamp containing a genie. He and his talking parrot, Iago, learn that only the metaphorical Diamond in the Rough can enter the cave, or anyone accompanied by him. 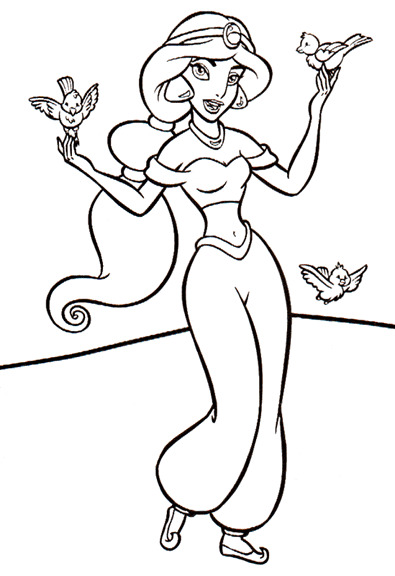 Jasmine, the Sultan's daughter, frustrated with "having her life lived for her" and the obligation of marriage, escapes the palace and goes to Agrabah's marketplace. 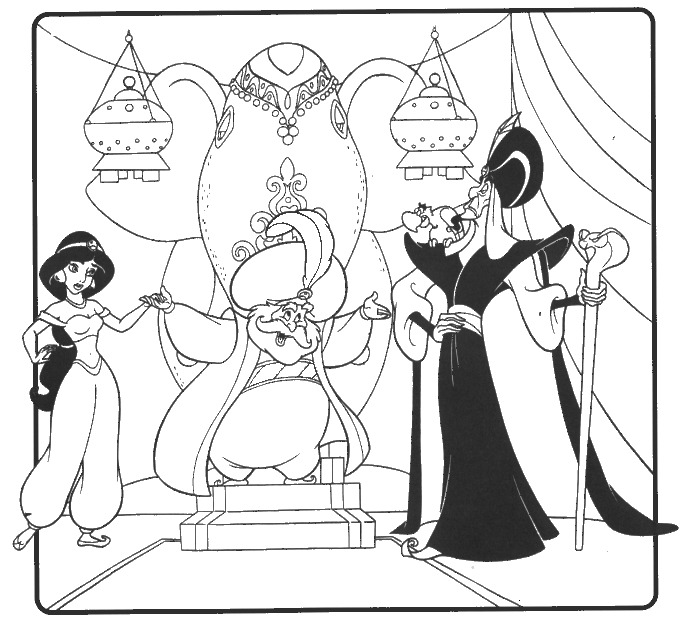 There she meets street rat Aladdin and his monkey, Abu. 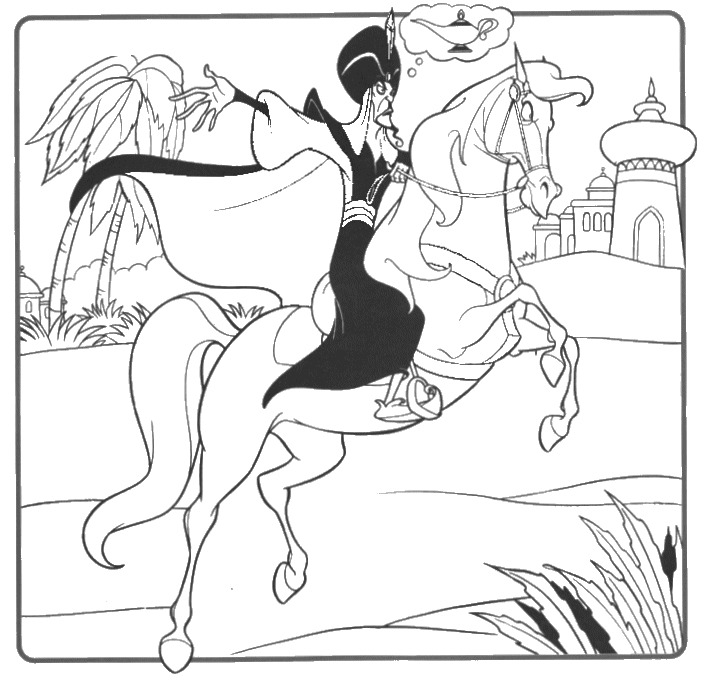 Jafar uses a machine to discover that Aladdin is the "diamond in the rough", and has him captured. 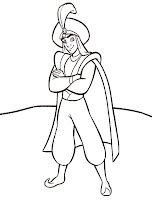 Jasmine orders him released, but Jafar lies, telling her Aladdin is dead. 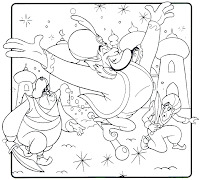 Jafar, disguised as an elderly man, releases Aladdin from prison and leads him to the Cave of Wonders. The tiger-shaped head of the cave tells them to touch nothing but the lamp. 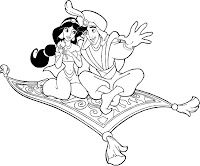 Aladdin enters the cave and encounters a magic carpet who guides him to the lamp. 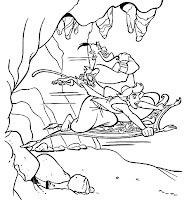 Abu tries to steal a ruby, which brings upon them the wrath of the Cave of Wonders, but the carpet helps them to the entrance. 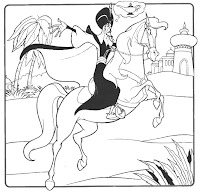 Jafar tries to kill Aladdin after getting the lamp, but Abu bites Jafar and takes the lamp back. 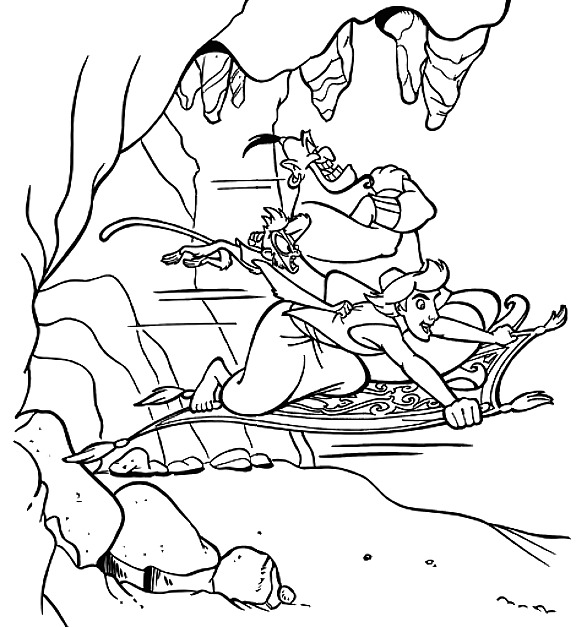 Abu, the carpet and Aladdin fall back into the cave just as it closes. 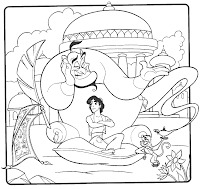 When Aladdin awakens, he rubs the lamp, unleashing the Genie who reveals he will grant Aladdin three wishes. 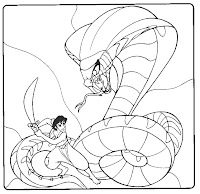 Aladdin dupes Genie into freeing them from the cave without using up a wish. 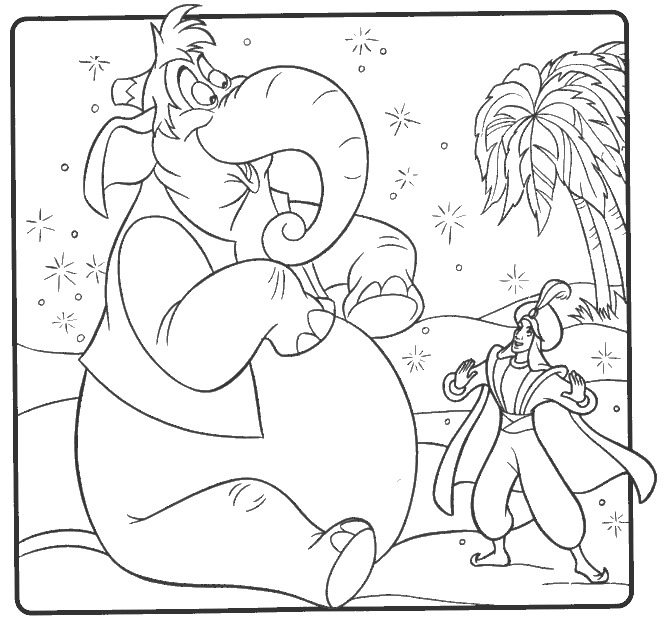 While contemplating his wishes, Aladdin asks for Genie's opinion. 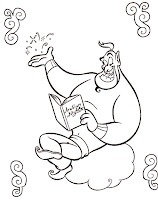 Genie admits he would wish for freedom, since he is a prisoner to his lamp. Aladdin promises to wish him free for his last wish. 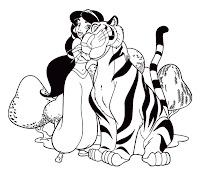 For his first wish, however, Aladdin asks to become a prince so he can marry Jasmine. 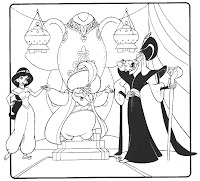 Jafar decides to trick the Sultan into arranging a marriage between himself and Jasmine, and then kill both the princess and her father. 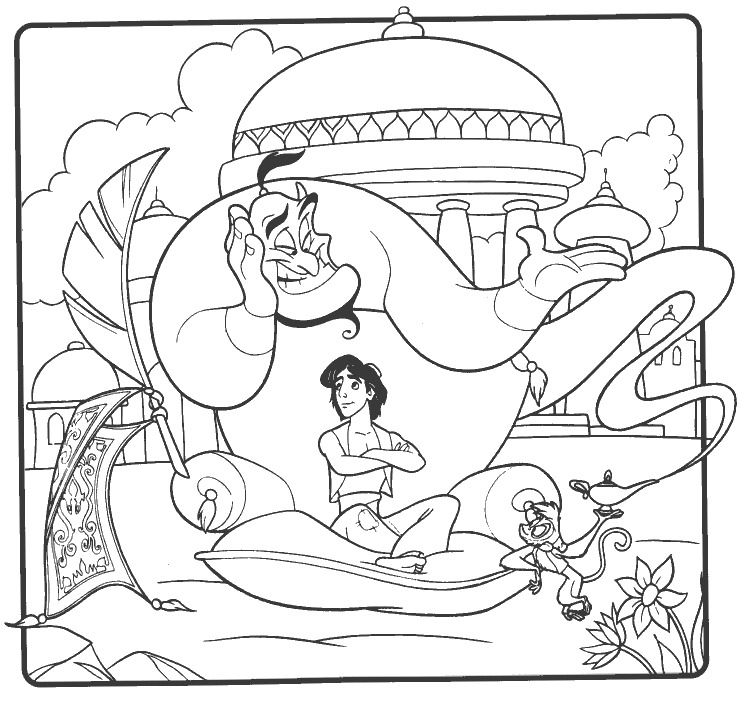 His plans are interrupted when Aladdin parades into the Sultan's palace as "Prince Ali". Jasmine rejects Ali, considering him a buffoon like all the other suitors before him. 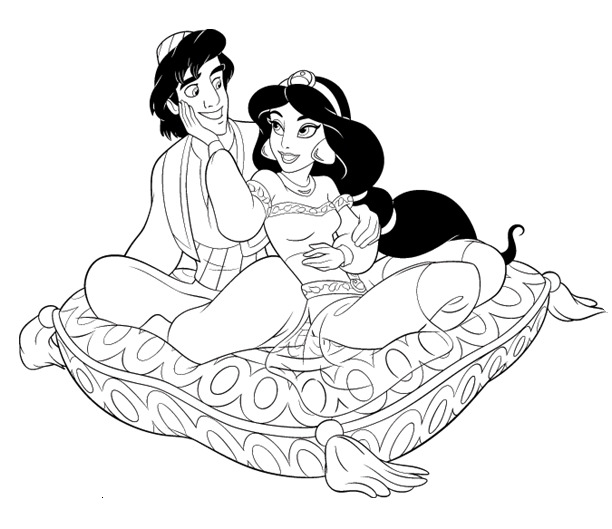 That night, Aladdin meets Jasmine, and takes her "around the world" on a "magic carpet ride." 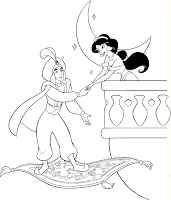 Jasmine realizes that Ali is the boy from the marketplace; Aladdin fabricates a story that he sometimes dresses as a commoner to escape palace life. 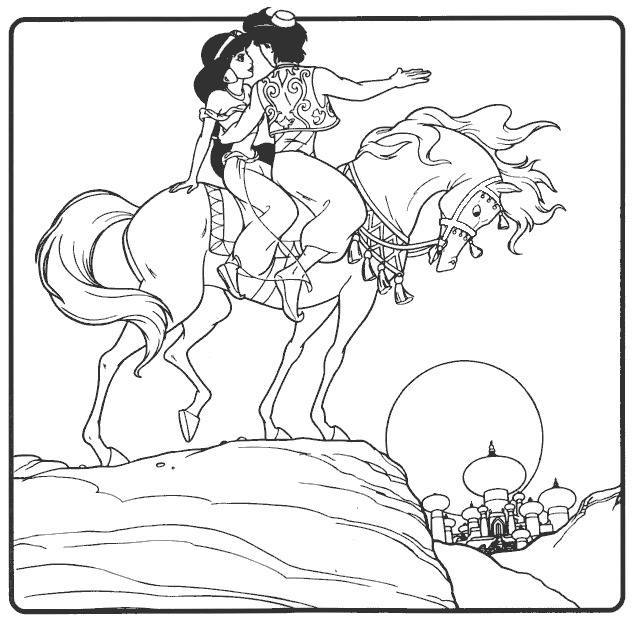 Aladdin returns her home and they kiss. 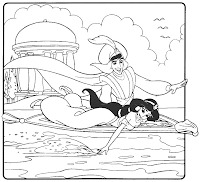 After delivering Jasmine, Aladdin is captured by Jafar who tricks the guards into chaining Aladdin and throwing him into the ocean. 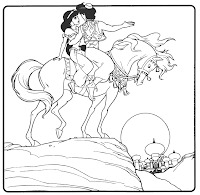 Aladdin summons Genie, who rescues Aladdin as his second wish. 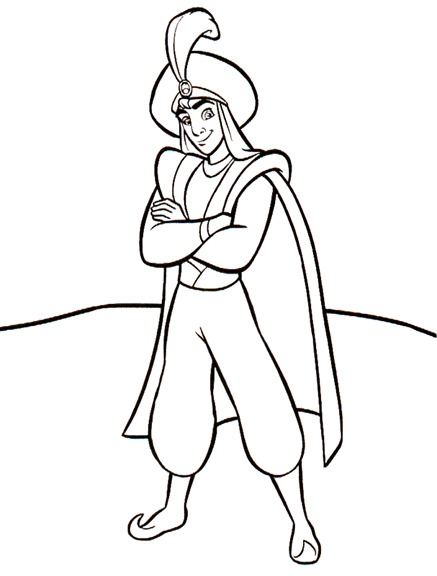 Aladdin returns to the palace, revealing Jafar's plot to Jasmine and the Sultan. 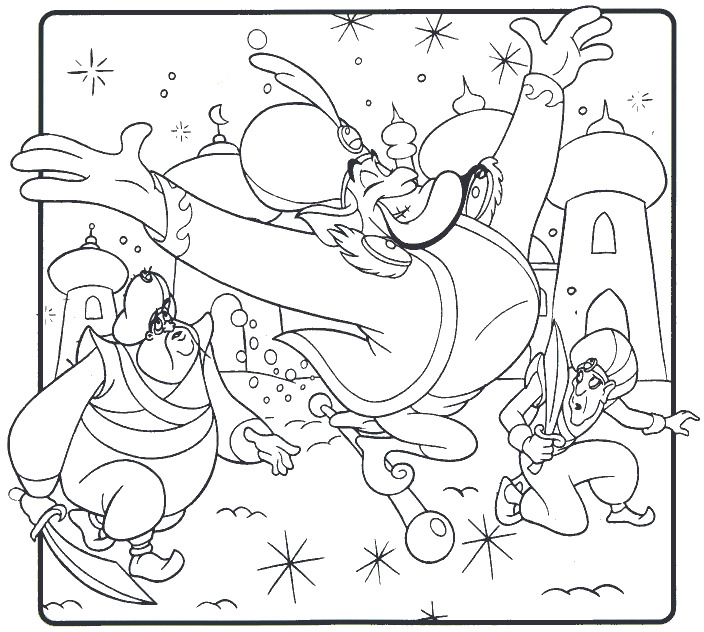 Jafar, however, notices the lamp in Aladdin's possession, realizes Aladdin's identity, and escapes from the Sultan's bodyguards. 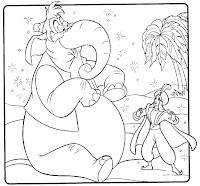 Surprised by Aladdin's bravery, the Sultan decides Aladdin should be his successor. 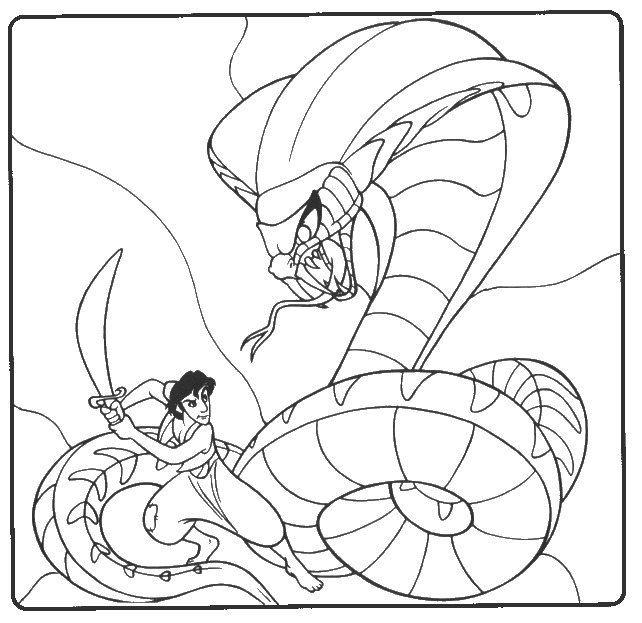 Aladdin faces a moral dilemma and decides he has to wait before wishing Genie free, driving a wedge between the two. 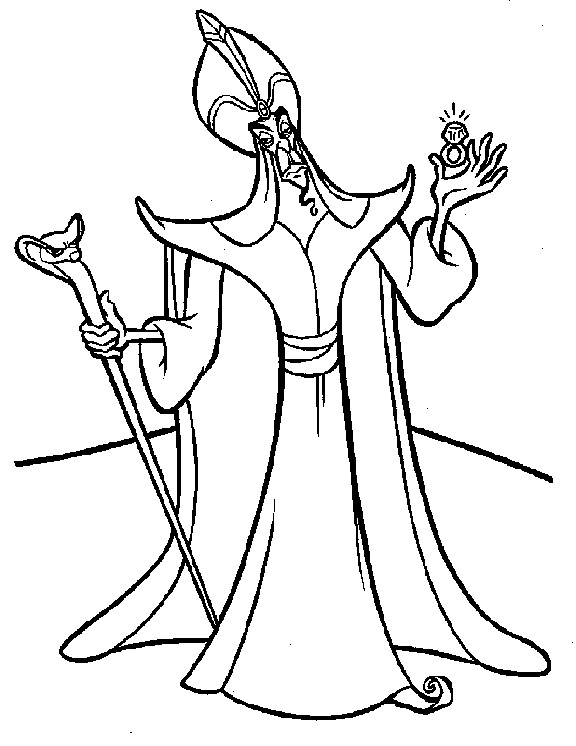 Iago, on Jafar's orders, steals Genie's lamp and brings it to Jafar, who becomes Genie's first master and uses his first wish to become sultan. 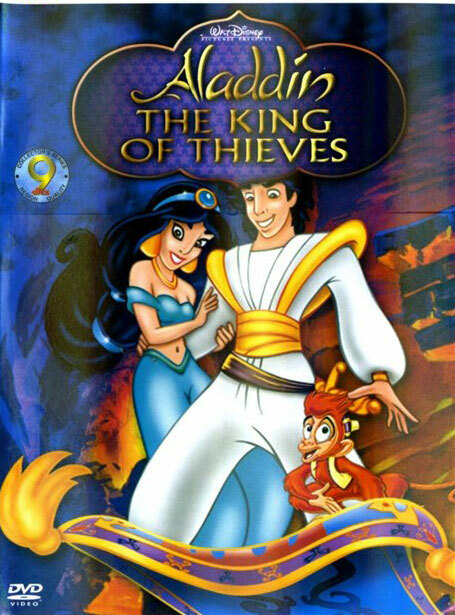 When Jasmine and the Sultan refuse to bow to him, Jafar uses his second wish to become the most powerful sorcerer in the world, using his new powers to send Aladdin to a far-off place. 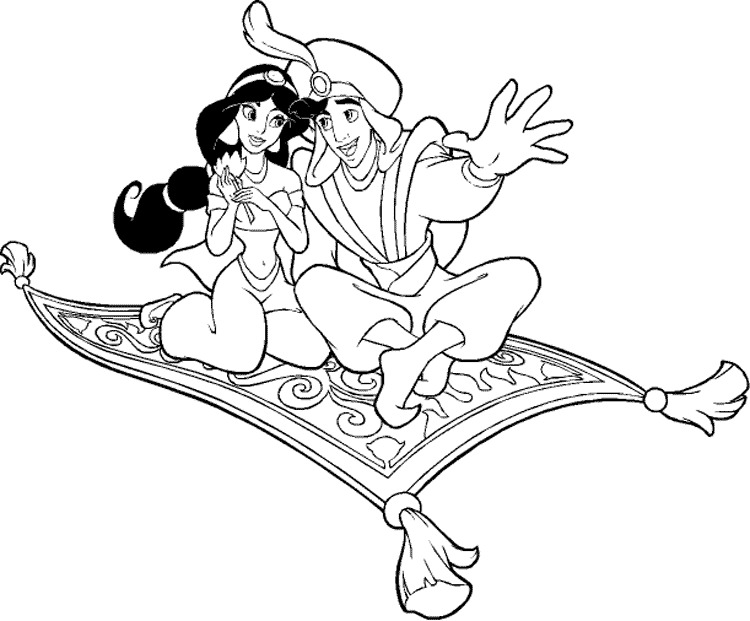 Aladdin uses the magic carpet to return to Agrabah, where Jafar has imprisoned both Jasmine and the Sultan as his slaves. Jasmine distracts Jafar as Aladdin attempts to steal back the lamp, but the Jafar notices and attacks him. 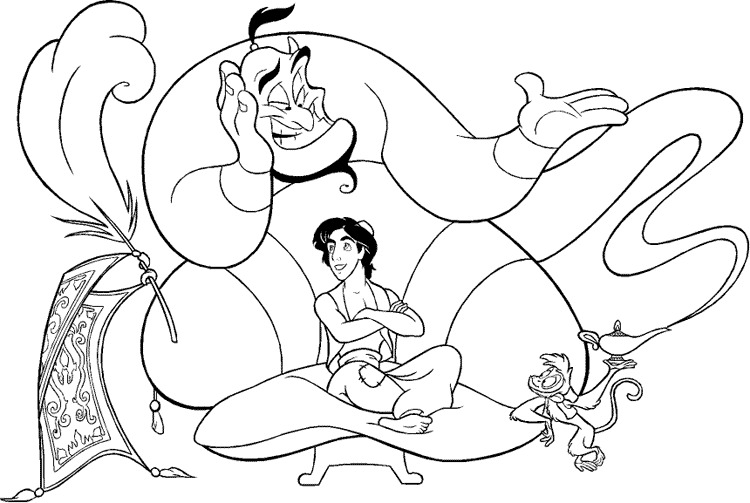 Jafar boasts that he is "the most powerful being on Earth", which causes Aladdin to shout out that Genie is more powerful. 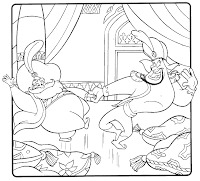 Faced with this realization, Jafar uses his final wish to become an 'all-powerful genie,' but is then surprised when Aladdin reminds him that genies are not free entities as he is sucked into his new black lamp, dragging Iago with him. Genie flicks the lamp into the Cave of Wonders. Aladdin wishes for Genie's freedom, much to Genie's surprise and happiness. Since Jasmine loves Aladdin, the Sultan changes the law so they can marry. 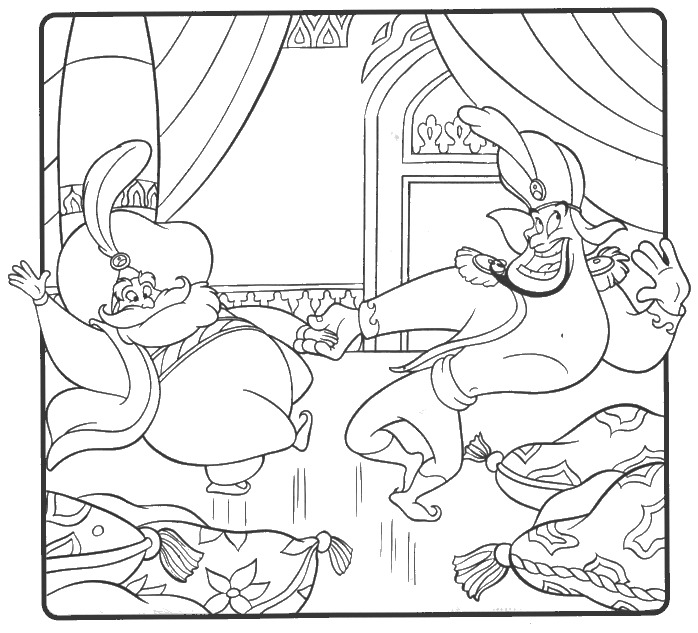 Genie leaves to explore the world while Aladdin and Jasmine celebrate their engagement.